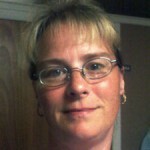 My name is Sharon Godin, Licensed Massage Therapist, Reiki Master. I am a 2011 graduate of MWCC’s Massage Therapy Program, and completed my Reiki Level 1, 2 and 3 recently at the Mount. I am pleased to own “The Relaxation Station” within Mount Fitness. My services are available on-site as well as at a place of your convenience (additional charges apply). My available hours are very flexible and will coordinate with the hours of Mount Fitness. My goal is to provide my clients with a wonderful session experience. Appointments are required for services. I have limited products for sale such as an Arnica Relief Cream made locally in Greenfield Ma. Feel free to stop in as long as the “come on in” sign is on the door, or call me at 978-855-2607 (cell) or 978-630-9212 ext 376 (please note my cell does not work inside the Mount Fitness building).